Strategy Showcase: Always/Sometimes/Never – Mister, is this right? For a department meeting at the beginning of the year (before I started running department meetings), I had the opportunity to showcase a instructional strategy. I chose Always/Sometimes/Never. Unfortunately, I was sick, and I was not at the meeting, but I’m a huge fan of this strategy, and I would like to talk about why. Students are given a statement and asked to determine if the statement is true always, sometimes, or never. I encourage students to test the statement once and eliminate one option. However, I emphasize that is logically impossible to determine the answer from one test, and encourage students to try “unusual” numbers, such as zero, one, fractions/decimals, negatives, and irrationals. If students settle on sometimes – with both an example and a counterexample – I push them to figure out exactly when the statement is true, perhaps by altering the statement to make it always or never. If students settle on always or never, I push for justification/proof. Finally, we discuss and review as a class. What preparation does this strategy require? Generating examples is easy in algebra since it could apply to any equation, property, theorem, etc. As a result, I use this strategy as a weekly do now routine. What content is this strategy trying to teach? Like I wrote above, this strategy works great for a variety of algebra topics. I’ve started to keep a running list of the examples that I’ve used, and I’m posted them in a new page: A/S/N. The examples span various function families, and the strategy works great for weeding out misconceptions, proving identities, and understanding the “all real numbers” and “no solutions” cases that arise when solving equations. I used A/S/N as an entire lesson activity twice: for integer operations in Algebra 1 and for closure in Precalculus, and I’ve listed all the examples I used on the A/S/N page. I’ve had a harder time coming up with examples for geometry, but perhaps that is because I have yet to teach geometry. Does this strategy make math accessible by allowing for a low-floor, high-ceiling, language support, and accommodations/modifications? Most of the time, this strategy provides a low-floor. For example, if they are asked to assess: , then to start, they simply choose an x-value and a y-value, substitute, and compute. Students who struggle with algebraic reasoning can still participate. Often, the high-ceiling comes from the justification and from asking students to explain or prove how they know the example works always or never. Other times, students have to be clever to find the counter-example. The latter are some of my favorites. 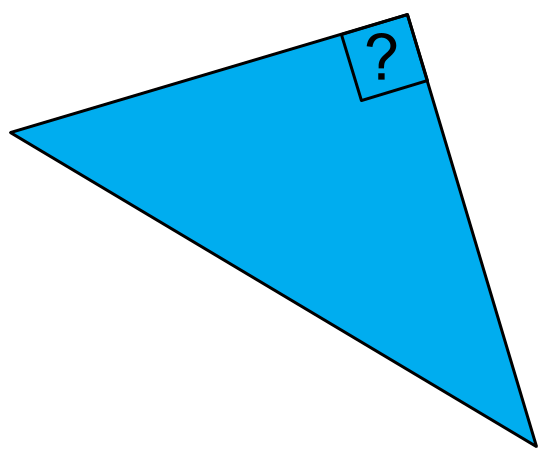 For instance, assessing the truth-value of “a polygon with three right angles is a triangle,” provides an opportunity to introduce students to non-Euclidean geometry. Will my students want to do it? This is probably the most engaging of my do now routines. The low-floor fits perfectly with the notion of a “warm up,” and students generally want to know if they chose the right option. I love watching them change their minds 5 or 6 times, especially when they express 110% confidence every time. I love watching them argue with each other and listen to each other with a skeptical ear. How does this strategy create a need for this content? How deep of an understanding do my students need or demonstrate in this activity? This strategy usually starts with a need for computation but morphs into a need for certainty and a need for communication. Similarly, the task builds in complexity as students move from eliminating one option to choosing a final answer to justification that answer. How will my students be thinking mathematically? They persevere in looking for an example or counterexample (SMP1), they calculate and grapple with logical structure (SMP2), they construct arguments and evaluate the reasoning of their peers (SMP3), poke holes in the imprecision of the question (SMP6), and use the structure of sets and operations to look search for counterexamples or as the basis of their argument (SMP7). This strategy asks students to engage in dynamic and authentic mathematical thinking. Can I pull this off? What are my students saying about it? I love circulating during this strategy. Every time a student asks me, “Is is sometimes?” I respond with “how do you know?” or “are you sure?” It is extremely easy for me to be unhelpful, and as a result, there is an environment of frustrated students engaged in problem solving and reasoning. I love it. Where did I hear about this strategy? I first saw this strategy on Fawn Nguyen’s blog. I strive to get as much mathematical thinking out of my 11th/12th graders as she gets out of her 6th graders. Also, it was just mentioned on the always wonderful math arguments 180 blog: day 324, 325, 326. Pingback: Reusable Structures – Mister, is this right?